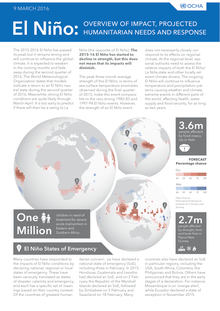 The 2015-2016 El Niño has passed its peak but it remains strong and will continue to influence the global climate. 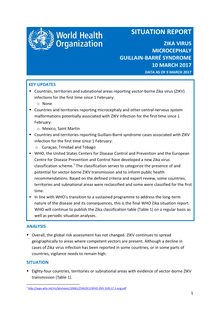 It is expected to weaken in the coming months and fade away during the second quarter of 2016. The World Meteorological Organization states that models indicate a return to an El Niño neutral state during the second quarter of 2016. Meanwhile, strong El Niño conditions are quite likely through March-April. 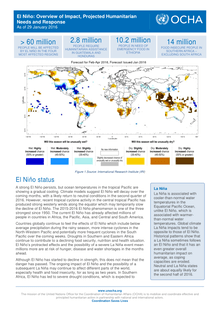 It is too early to predict if there will then be a swing to La Niña (the opposite of El Niño).